Midnight raid inside Manipur University was a preplanned one. The police team with arms and ammunitions conducted the raid after they confirmed that all newspapers have completed publications. The police did not take permission from the Proctor before conducting the raid neither informed which has been a convention of any University in the country. They even humiliated the assistant Proctor by arresting him after conducting raid at his official quarter. Five more faculty were also arrested and sent them in Judicial custody. Students who came out from their hostel were treated with hostilities, fires tear gas , mock bomb and charged with baton. Many students bleeds in the police action. They raided the quarters of Faculty members. Security allotted to the in-charge VC Prof. Viswanath has been removed. The police also raided some of the residence of Professors outside the MU complex. Faculty members are being harassed with threat intimidation. A Professor was pulled up and questioned, even though released later. They are not allowed to convene meeting. Students preparing for semester exam were on the hunt. Routine patrolling by police vehicles inside the Manipur University campus and heavy presence of security force inside the complex has now converted the temple of higher studies as ‘War Field”. The MU is once more converted into a war field. The unwanted tragedy arises as the government seem to be protecting the one person whom almost all the entire community of MU has been alleging serious allegation. Is this the kind of respect that the state government pays to Hijam Irabot. For how many nights have we spent sleepless thinking about the fate of our nation. How many times had we shed tears for our motherland? We might not have time, but our great leader Hijam Irabot had many times cried and spent sleepless night thinking about the future of Manipur. Giving education to the people for a classless society with the proletariat on the forefront was the dreamt of our great Leader Hijam Irabot. For the cause the leader had waged a political war against the British colonial rule and then later against feudalistic nature of the Majarajah and the ruling capitalist class of Manipur. What makes different from this pioneer leader and the so call leaders of our days is that he was not lured by the prospect of the royal prerogatives and official facilities including the prestigious post of membership to the Sardar Panchayat Court that was being offered to him for having married princess Khomdonsana. It is a shame that today’s leader of ours are very much different from Hijam Irabot. Unlike the pioneer leader, today’s leader never bother sacrificing the pillar of the future as long as they could continue their position. A blessing from their leader at Delhi seems to be more important than protecting the rights of the students. Teachers are treated as criminal if ordered to do so from their masters. To Hijam Irabot, the war was not only against the external force which had colonized the nation state but it was rather against all forms of oppression and suppression committed under the feudalistic character of the system. He dreamt of a nation where every citizen has the right to live with dignity. His work for promotion of the culture, sports, literature and journalism is a reflection of his love towards this erstwhile nation state. All his life the great leader had work for the cause of the people sacrificing every comfort of live. To convert his dreamt into reality he spearheaded various political movement starting from the grass hood level. He was the man behind the formation of students’ federation, peasant union, women’s organization and progressive party. For his active role to bring about a reformed state, he was sent to prison many a times during the British colonial era. Later after the British left the nation state, Hijam Irabot was once again declared as a terrorist as his activities continued to be a threat to the Maharajah himself as well as the ruling capitalist. In recognition to the activities of this all time leader, the state is celebrating his Birth Anniversary across the state. A political Party - Communist Party of India (CPI) is taking the main initiative in organizing the day to commemorate the leader’s birthday. 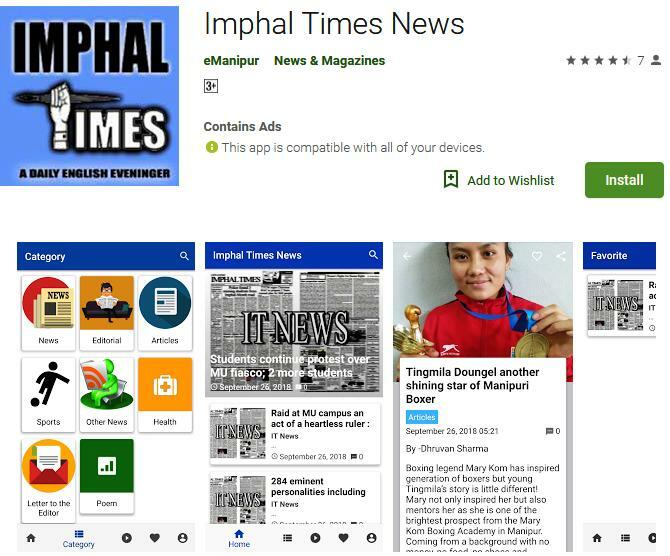 But one thing we in the Imphal Times would like to remind is that, would the person who had sacrifices every comfort of life would be happy to see us celebrating the day without fulfilling any of his dream. Will our leader be happy if he sees the conditions of the peasant community or the working class people of this state? Sons and daughters of the peasant are now hiding as if they have committed crimes. Which parents will remain calm when their children who are being sent to study higher studies are being treated as criminals? This is the state of our state. There is no doubt that our great leader Hijam Irabot would certainly shed tears in heaven seeing the reality.